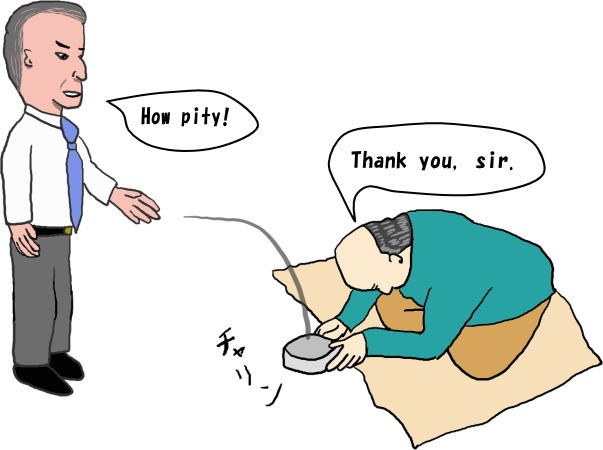 Mr.Seegood became a beggar because of his wrong recognition. It is dangerous to perceive something wrongly. You cannot get what you wish for if you have wrong recognition. It is a natural fact; nothing to do with good and evil, or discrimination. ©2015For world peace, picture books of Wa (harmony, peace and love) to heal the world.